A wonderful combination of an elegant country inn and a casual bed & breakfast. 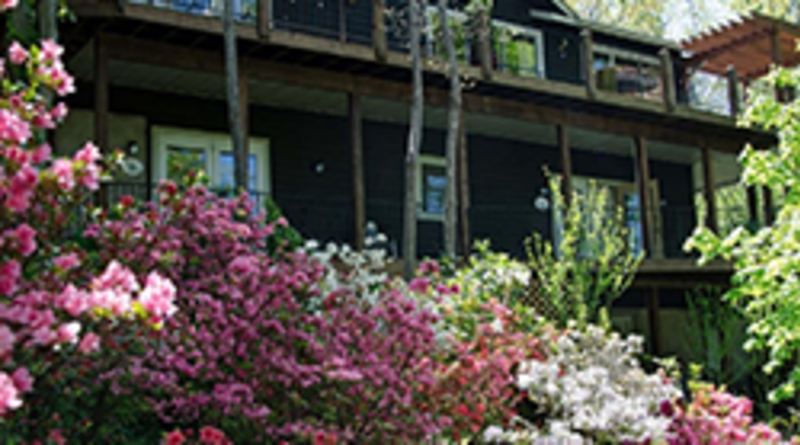 Lodge on Lake Lure is situated on the hillside to afford a sweeping view of the lake & mountains. Groups: The Lodge on Lake Lure provides you with the best of all worlds. A wonderful destination where sweeping mountain views and invigorating mountain air will rejuvenate the mind body and soul. 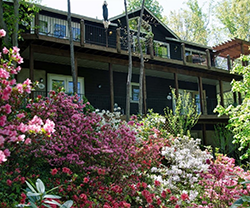 The Lodge On Lake Lure is a quaint sixteen room bed and breakfast that has recently been renovated and is listed on the Historical Registry of Inns. It is a very special place to hold small business meetings retreats or team building events. Boat House - Located on the lake & is a wonderful place to swim fish or use our canoes & paddle boat. Their pontoon boat will take people out on a tour of Lake Lure. Veranda - A great place to sit relax & enjoy the magnificent view of Lake Lure & the surrounding Blue Ridge Mountains. Library - Afternoon teas & pastries may be enjoyed or wine & hors d'oeuvres are served in the evening on the deck.